LONDON: 25 SEPTEMBER 2008 - Mercator Gold plc announces that following a review of the mining operations within the Surprise Pit the Company has decided to suspend temporarily all mining while a section of the Great Northern Highway (the main traffic artery to the North & East of the state) is realigned. As was reported in the Quarterly Update, published on 7 August, the proximity of the highway to the eastern end of the Pit was a concern to the Directors and they decided to fund a diversion of the road to mitigate the mining risk. Production from the Pit was also reduced and other remedial actions were taken to stabilise the eastern wall. Since then further close monitoring of the variation in the ongoing rate of movement (relaxation) in the eastern pit wall, its proximity to the Highway and implications for disruptions to road traffic have resulted in the decision by the Directors to temporarily suspend mining within the pit. Mining at the Surprise pit will recommence following completion of the road diversion works, which commenced on 15 September 2008. The road works are expected to take about twelve weeks at a cost of approximately A$2.5 million. Replenish its ore stocks and build a substantial buffer in its mill broken ore supplies to ensure more continuous mill feed in the event of any future mining disruptions. The Company is aiming to build buffer stock levels of approximately one month’s continuous ore feed (or better) during the mill downtime. Carry out essential maintenance on the SAG mill which requires internal inspection and main feed chute relining, carry out necessary preparatory work in the powerhouse prior to a planned generator and control/distribution systems upgrade. It is expected that milling will be restarted in January 2009. As reported in the Quarterly Update, published on 7 August 2008, Mercator produced 11,846 ounces during the April to June quarter, an increase of 9.2% on the January to March quarter. During July and August the Company produced 8,481 ounces and it is expected that a further 5,700 ounces will be produced before milling ceases in October. The Company’s reserves at the Surprise and Bluebird Pits at end June stood at – Surprise: 436,000 tonnes at 2.5 g/t for 35,700 contained ounces and Bluebird: 1,778,000 tonnes at 2.4 g/t for 133,000 contained ounces. Following recent significant Industry and labour input pricing increases, the Company is undertaking a review and re-estimation of the remaining reserves in the Surprise, Bluebird and Batavia Pits to ensure optimal profitability. The Company has just signed a non-binding Memorandum of Understanding (MoU) with the Tulla Resources Group Pty Ltd (Tulla) aimed at a refinancing of the Australian mining operations of the Company’s 100% subsidiary, Mercator Gold Australia Pty Ltd (MGA). Mercator plans to raise A$58 million through a proposed issue of convertible loan notes and a loan facility agreement (together the “Agreements”) which will meet its longerterm funding needs. Subject to final completion, the funds raised will enable Mercator to repay its short-tem bank loans and other creditor facilities and provide sufficient funds to cover its current development costs at the Meekatharra operations. It also includes the above described diversion of the Great Northern Highway and the prestripping costs of the nearby Bluebird orebody. 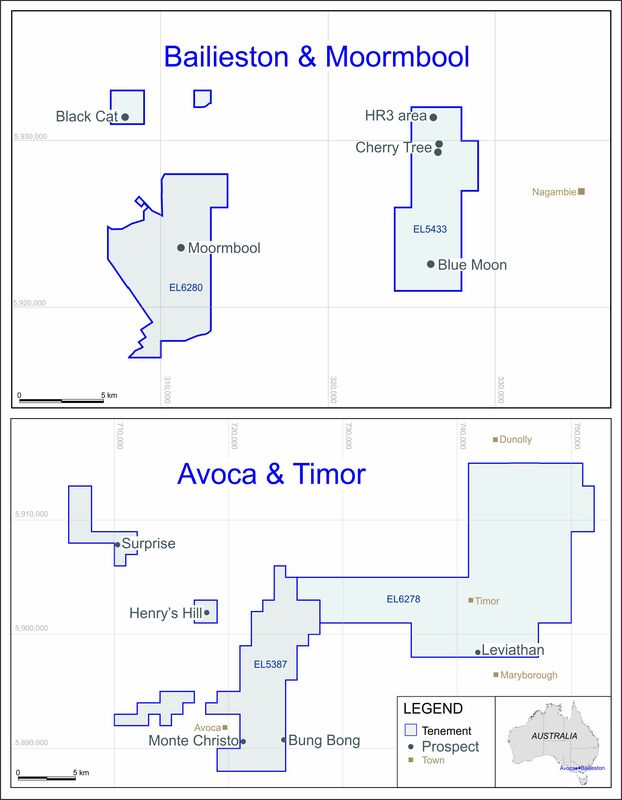 Tulla will ultimately earn a 50% stake in MGA via the provision of a Convertible Loan Note of A$12 million and term finance of A$26 million, with a further standby facility of A$20 million to fund the underground development at Paddy’s Flat, following the successful completion of a pre-feasibility study to be undertaken by the end of June 2009. The Company is now in the process of negotiating binding terms following the signing of the MoU. The Company is also consulting its Bankers and major creditors with regard to the effects of this production hiatus on its various obligations with them. The aim is to reschedule and re-align previous repayments and gold deliveries under its current agreements. The Company has been progressing the necessary Bluebird pre-strip on a largely part time basis. In light of the decision to suspend temporarily all milling activities, it is planned to advance the pre-strip operations at Bluebird. Preliminary discussions have been held with our earth moving contractor who has indicated they will be able to supply the additional equipment necessary to meet the modified mining schedule. As noted above a revised mining and treatment schedule is in progress and will be released upon completion of the reserve reviews. Tulla is the investment vehicle for strategic resource and resource related services of the Tulla Group, which has investments in coal, copper, nickel, gold, oil and gas. Tulla also has expanding interests in road transport, exploration drilling services and the provision of specialised management services to the junior resources sector and has established itself as a significant player in the North Eastern Australian resource sector. It is the resources arm of the Maloney family business and the dominant shareholder in the MAC Services Group Ltd, ref: (www.themac.com.au) a highly successful supplier of accommodation services to the Australian mining industry. “We regret the need to suspend mining operations at the Surprise Pit but, as we indicated earlier, the proximity of the Highway to the Pit has been of concern. Recent variations in the movement, and therefore the stability, of the eastern pit wall, have resulted in us taking the decision to mitigate any possible impact on the Highway. We have therefore taken the step of suspending mining operations until the Highway has been moved. The information in this report, which relates to the Surprise and Bluebird Ore Reserves is based on information compiled by Hugh Pinniger. Hugh Pinniger is a consultant to MGA and is a Member of the Australasian Institute of Mining and Metallurgy. Hugh Pinniger has sufficient experience which is relevant to the style of mineralisation and type of deposit under consideration and to the activity which he is undertaking to qualify as a Competent Person as defined in the 2004 Edition of the “Australasian Code for Reporting of Exploration Results, Mineral Resources and Ore Reserves”. Hugh Pinniger consents to the inclusion in the report of the matters based on this information in the form and context in which it appears.